LINDA HADDAD is a Senior Partner in the law firm of Horty, Springer & Mattern in Pittsburgh, Pennsylvania, a Senior Fellow of the Estes Park Institute and a Fellow in the Allegheny County Bar Foundation. 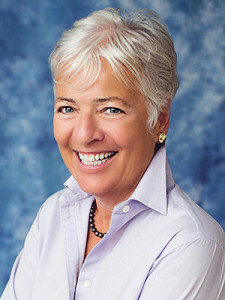 She has served as an Adjunct Instructor at the Heinz College at Carnegie Mellon University Masters of Medical Management Program and has presented in hundreds of educational conferences, including programs conducted by the American Health Lawyers Association, medical societies, hospital associations, and hospital and health care systems. She has been included regularly and over several years in The Best Lawyers in America and Pennsylvania Super Lawyers. She works extensively on Board and physician leadership issues, clinical integration strategies, medical staff bylaws, physician contracts and employment relationships, medical staff “mergers,” system credentialing and physician organization matters. In addition, her work involves credentialing questions, including health, behavior and competence issues. She has served as counsel in scores of medical staff due process matters. Ms. Haddad regularly advises hospital boards and physician leaders on matters such as mission credentialing and physician/system integration strategies and processes.